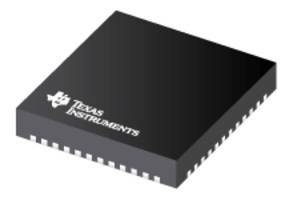 Dallas, Feb. 27, 2019 /PRNewswire/ -- Texas Instruments (TI) (NASDAQ: TXN) announced today new bulk acoustic wave (BAW)-based embedded processing and analog chips for the next generation of connectivity and communications infrastructure. The first two devices developed with TI BAW technology, the SimpleLink™ CC2652RB wireless microcontroller (MCU) and the LMK05318 network synchronizer clock will help system designers streamline design logistics for faster time to market, while enabling stable, simplified and high-performance data delivery, which in return, allows for potential overall development and system cost savings. For more information about the CC2652RB, please visit www.ti.com/simplelink-baw-pr. For more information about the LMK05318, please visit www.ti.com/ct-baw-pr. Communications and industrial automation systems with discrete clocking and quartz-crystal devices can be costly, time-consuming and complicated to develop and are often susceptible to environmental stress. The new devices with TI BAW resonator technology integrate reference clocking resonators to provide the highest frequency in a small form factor. This higher level of integration improves performance and increases resistance to mechanical stresses, such as vibration and shock. As a result of stable data transmission enabled by TI BAW technology, data synchronization of wired and wireless signals is more precise and allows for continuous transmission, which means data can be processed quickly and seamlessly to maximize efficiency. At embedded world 2019, TI is demonstrating how designers working on data transfer, building and factory automation, and grid infrastructure equipment can take advantage of this technology to develop higher performing systems while minimizing system cost, size and design complexity. Preproduction samples of the CC2652RB are now available through the TI store in a 7-mm-by-7-mm very thin QFN (VQFN) package. Pricing starts at US$3.55 in 1,000-unit quantities. Developers can get started with the SimpleLink CC2652RB wireless MCU-based TI LaunchPad™ development kit available through the TI store. The LMK05318 is now available in production quantities through the TI store and authorized distributors in a 48-pin, 7-mm-by-7-mm VQFN package. Pricing starts at US$11.44 in 1,000-unit quantities. Developers can evaluate this device with the LMK05318 evaluation module, available today for US$399.00 from the TI store and authorized distributors. Read our Think.Innovate blog, "Tiny technology, global impact: TI BAW resonator breakthrough creates new electronic heartbeat"